Capt'n Heroic was sent to Earth to save the world from evil... but sometimes, he's got more exciting things to do. Capt'n Heroic is a silly, man-child Superhero with a big innocent heart. He wants to be a Superhero for pretend, and never quite gets that he IS a superhero for real. 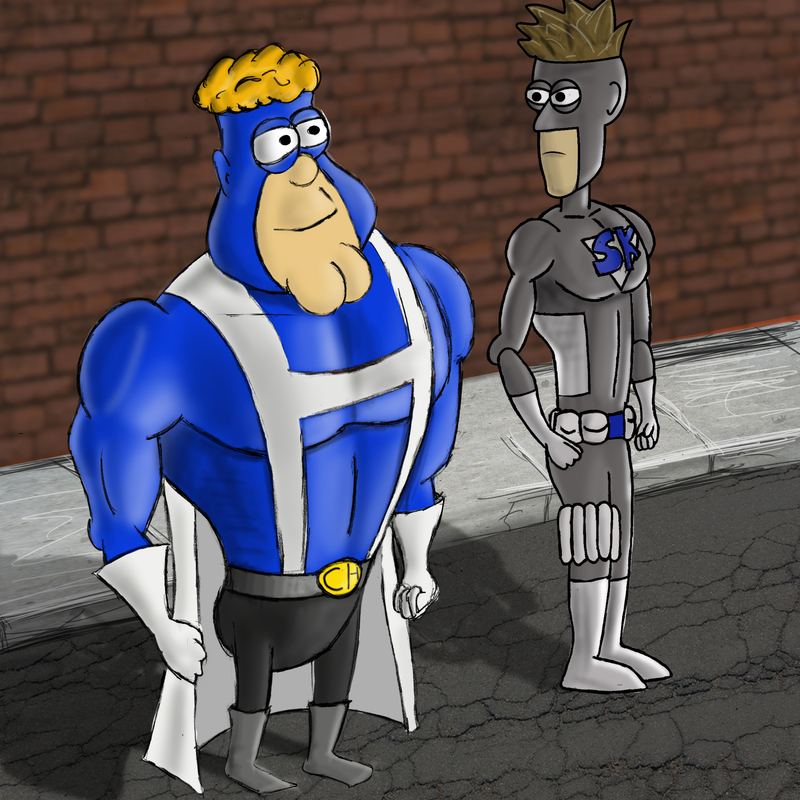 It is up to his trusted SideKick to make sure Capt'n Heroic squeezes 'saving the day' into his schedule. SideKick is sarcastic, angry, and bitter at the world, and easily gets annoyed at his Superhero partner. He's lost alot, but he is faithful and always there for his loved ones. He is the one that solves all of the problems for the Heroic Duo. Together, (if my writing does what it should) their personalities will play together to make a bunch of fun stories. Click here to read Adventures with Capt'n Heroic! I'm just bumping my comic since I haven't in forever@!